Despite warnings that doing so “could lead to increased violence” and potentially deaths, anti-secrecy group WikiLeaks says it plans to publish the name of a country targeted by a massive United States surveillance operation. On Monday this week, journalists at The Intercept published a report based off of leaked US National Security Agency documents supplied by former contractor Edward Snowden which suggested that the NSA has been collecting in bulk the contents of all phone conversations made or received in two countries abroad. 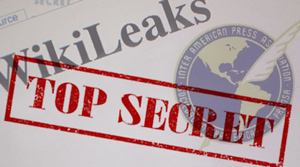 WikiLeaks has since accused The Intercept and its parent company First Look Media of censorship and says they will publish the identity of the country if the name remains redacted in the original article. The Intercept’s Greenwald fired back over Twitter, though, and said his outlet chose to publish more details than the Washington Post, where journalists previously reported on a related call collection program but chose to redact more thoroughly. “We condemn Firstlook for following the Washington Post into censoring the mass interception of an entire nation,” WikiLeaks tweeted on Monday. 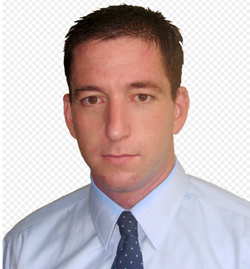 When Greenwald defended his decision to publish the names of four countries where telephony metadata is collected by the NSA but withhold a fifth where content is recorded as well, WikiLeaks said it could be interpreted as meaning that the unknown country doesn’t deserve to know they’re being surveilled, but Greenwald said The Intercept was "very convinced" it could lead to deaths. Later, WikiLeaks equated this as an act of racism. But as the conversation escalated, the WikiLeaks Twitter announced it would disclose the nation’s identify if The Intercept did not, despite requests from the US government to leave that information redact over fears of what the response could be. “We will reveal the name of the censored country whose population is being mass recorded in 72 hours,”WikiLeaks wrote at 6:35 p.m. EST Tuesday evening. If the organization intends to uphold that promise, that the identity of the country could be revealed before the weekend. SOMALGET, the document reads, is a “program for embedded collection systems overtly installed on target networks, predominantly for the collection and processing of wireless/mobile communications networks.” According to The Intercept, the decision to wiretap all calls in and out of the Bahamas was made unilaterally and without the knowledge of the island’s government or its quarter-of-a-million people.